Celebrating an anniversary is a pretty common event in almost all significant human experiences—the start of a marriage, the establishment of a company, and so much more. People tend to make a big deal out of it because an anniversary marks the end of another year with a person, company, or commemorative experience, and the start of a new one. When you’re planning an anniversary party, the flyer designs have to make it on your list of priorities. 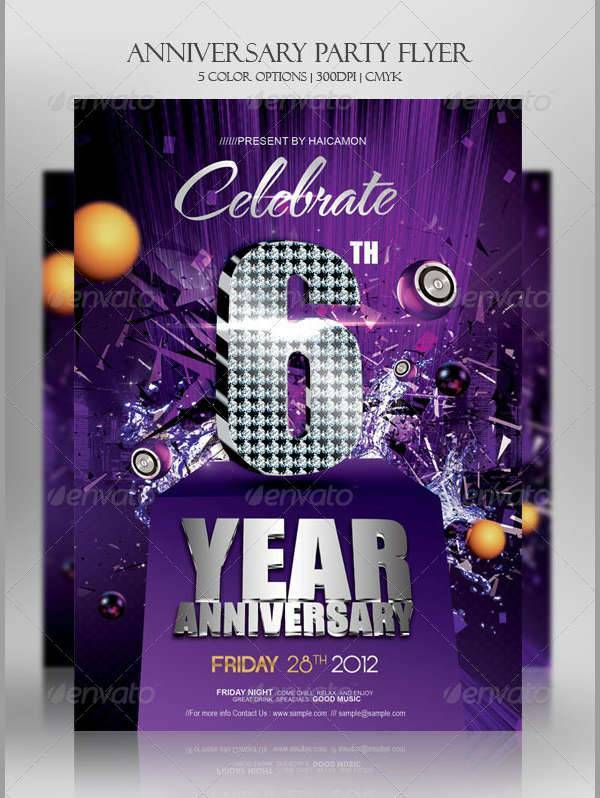 Anniversary party flyers are the entry point to your main event, and they have to attract. If you have no idea how to get started, download our list of beautiful designs for ideas and much-needed inspiration. 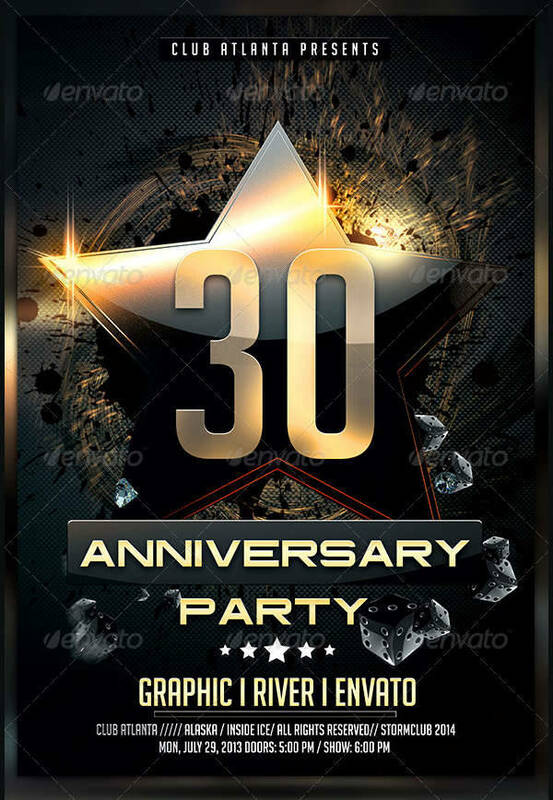 If you’re wondering why there’s a need to make a big fuss out of flyer designs, that’s because they play a huge role in making your anniversary party a success. Making your flyers look remarkably attractive is part and parcel of their functionality. Flyers serve as your invites to your guests. They bring with them all the important information one needs to show at a party prepared. 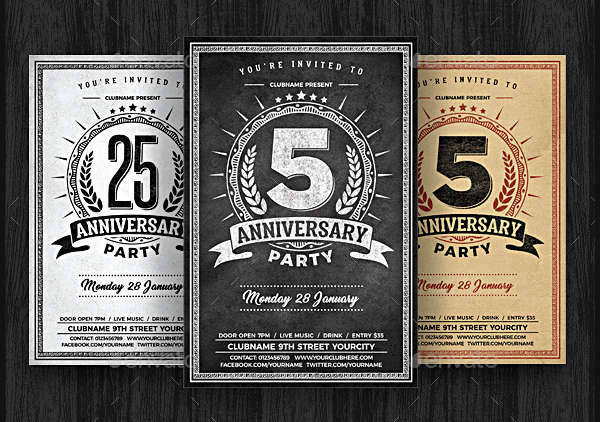 For your guests to actually want to attend your party, your flyers have to look captivating. Flyers inform through visuals. Aside from the text presented in your flyers, your designs have to be able to send a message as well. 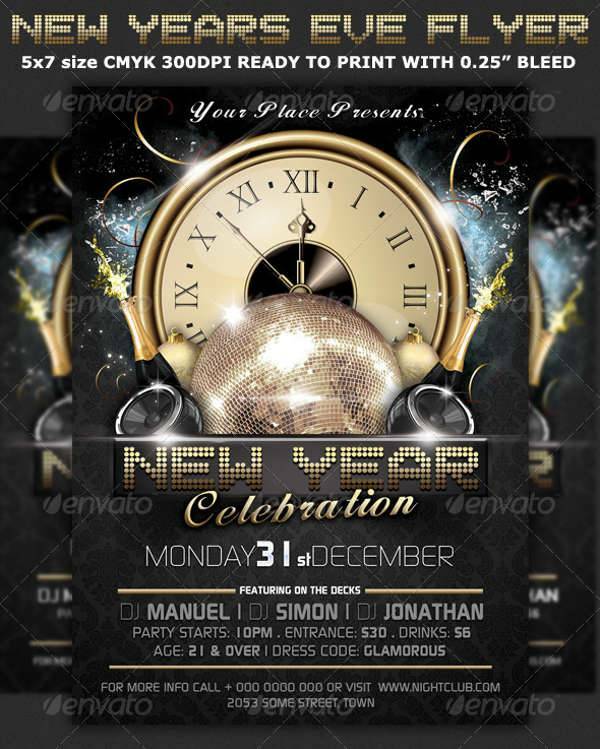 The theme of your party has to be projected by your use of images, colors, and typefaces. Your flyer design lets people know what they are in for. Whether that’s an exclusive formal event or a casual party, your design sets the mood for the upcoming days and sets your guests in the appropriate party mode. Party flyer designs do so much more than just be eye-candy. They inform, and they tap into the guests’ feelings of excitement and anticipation. Prepare a clear set of goals for your flyer design to make it easier for you to bring all the elements together. 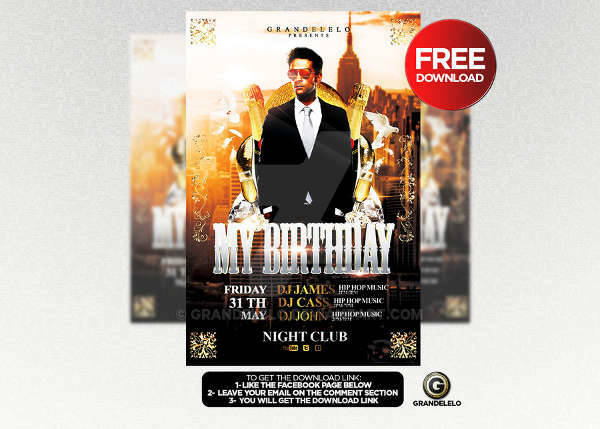 The design of your flyers will depend on the theme or mood that you want to incorporate. Some flyers call for an extravagant look, while others prefer a simpler layout. 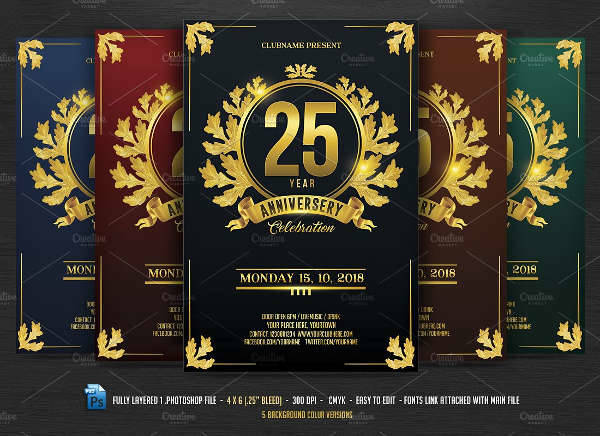 If you’re looking for something that screams grand and luxurious, our Grand Opening Party Flyer, Birthday Party Flyer Template, and New Year Eve Party Flyer Design are the perfect designs to use. 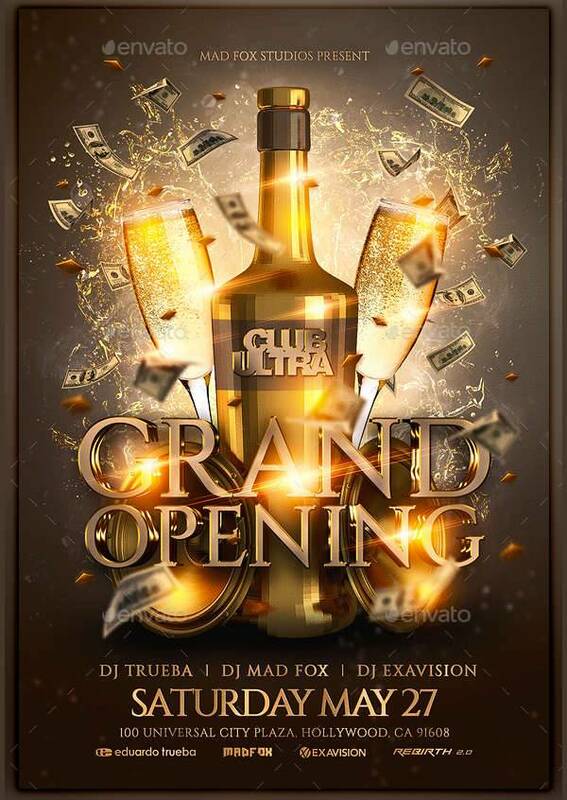 There are flyer designs that cater to less of the extravagance while maintaining an elegant and high-end look. 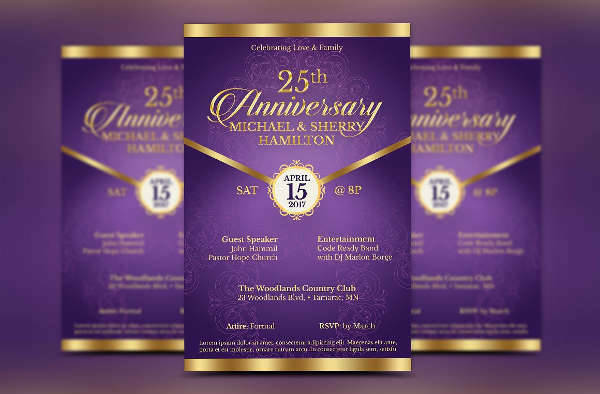 Silver anniversary flyers like the Wedding Anniversary Gala Flyer and Anniversary Party Celebration Flyer are usually adorned in ornamental patterns against plain backgrounds with a stylish script. 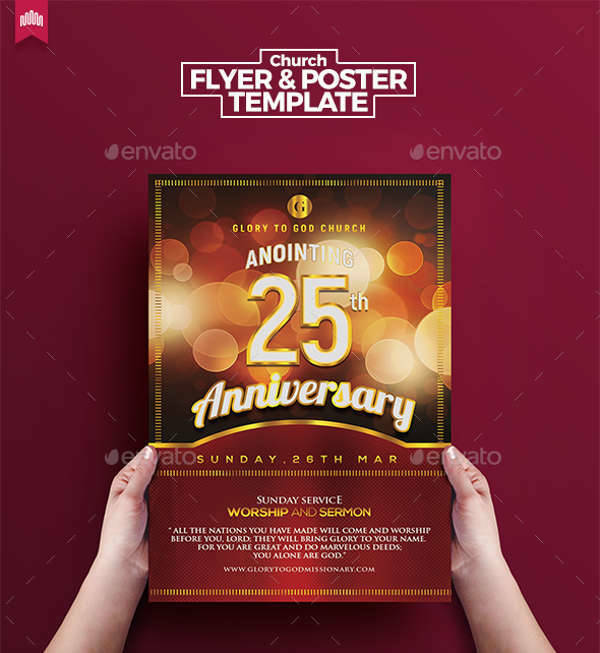 If you plan on keeping your designs simple and intimate, the Church Anniversary Flyer Template is one example you can get inspired from. 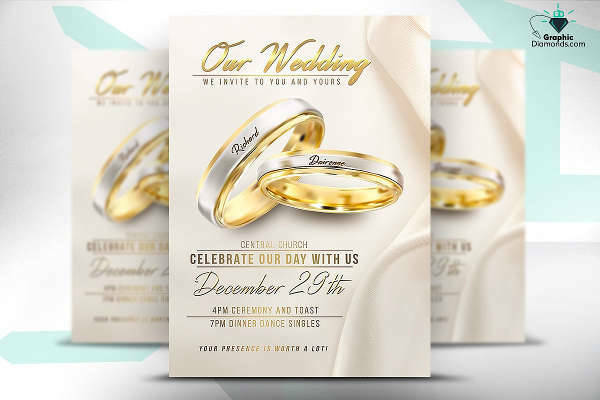 The Wedding Flyer PSD Template also depicts a clean and classy look with delicate borders and dainty script. 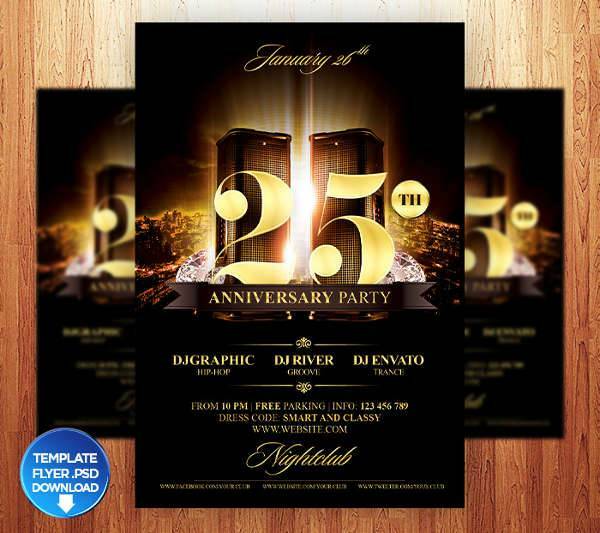 Your anniversary flyer designs are part of what makes your party great. Since it’s celebration dedicated to a significant aspect of your life, try to bring that out in your flyers. Make it personal and unique, and share it with the people you know and care about. If you’re still figuring out how to make your flyers look extraordinary, browse through our list of designs, and see what pops out to you most.